Hii everyone, how was your weekend? These days I am not very much regular in blog and that's because of my holiday and the second thing is I have started my YouTube channel recently and I have to focus a bit towards the channel as well. So today I am going to review The Nature's Co. cool cucumber face wash. I have received this sample size product in my April Vanitycask Box. 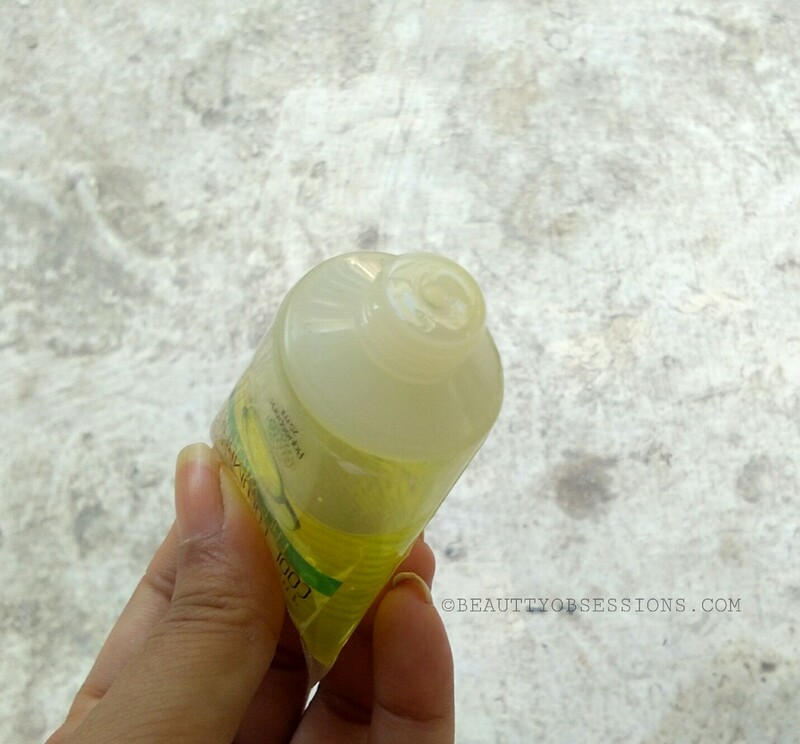 These days I am loving this travel size face wash. Let's get into the review in detail. Product Claims - The cooling & cleansing property of cucumber extract helps the skin making it soft and supple. Its refreshing and astringent action makes it good for oily skin. Willow tree extract contains beta hydroxy acid , which gently exfoliates the skin and the antimicrobial property prevents the formation of blackheads, whiteheads and pimples. Ingredients - Cucumber extract , Willow tree extract , Aloevera extract, vegetable glycerine, W/S base, Aroma, Natural preservatives and food grade colours . Packaging - The face wash comes in transparent plastic tube with screw open cap . The 125ml. tube comes in a flip open cap actually . All information is on the tube itself . All n all packaging is very much travel-friendly and sturdy . 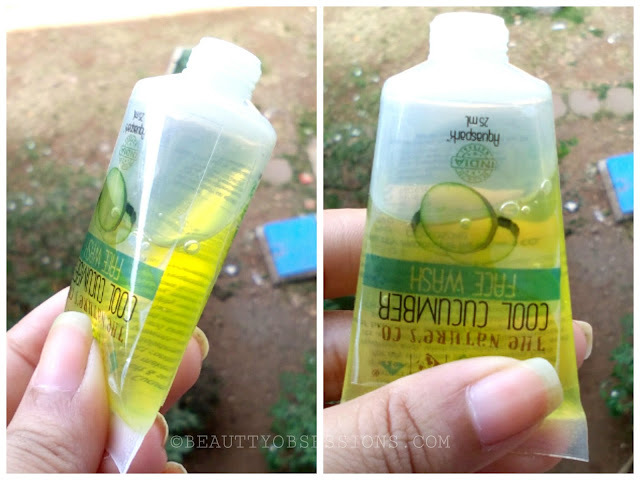 My Experience - The face wash is lemon-green in colour and gel in texture . It has very mild cucumber fragrance which feels very much refreshing. It doesn't feel cool on face as it claims . The facewash lathers really well and doesn't make my already dry skin drier. I love how well it moisturises my skin after wash. It is a best option for oily skin people as it has cucumber,aloevera and willow tree extracts. It cleanses my skin thoroughly and gives a nice glow to face each time i wash my face . It removes mild makeup as well . The face wash has a little runny texture ,hence you should be careful while taking this inside your bag . Though i didn't face any such issues as i have the sample size tube which has screw open cap,but you might feel the spillage with the flip-open cap tube . I love my face after each wash with it. It makes my skin smooth and soft with each wash. I will definitely gonna buy this after finishing the sample one . In summer my skin becomes sweaty (not exactly oily) and i need such soothing facewash very often during this season of year. 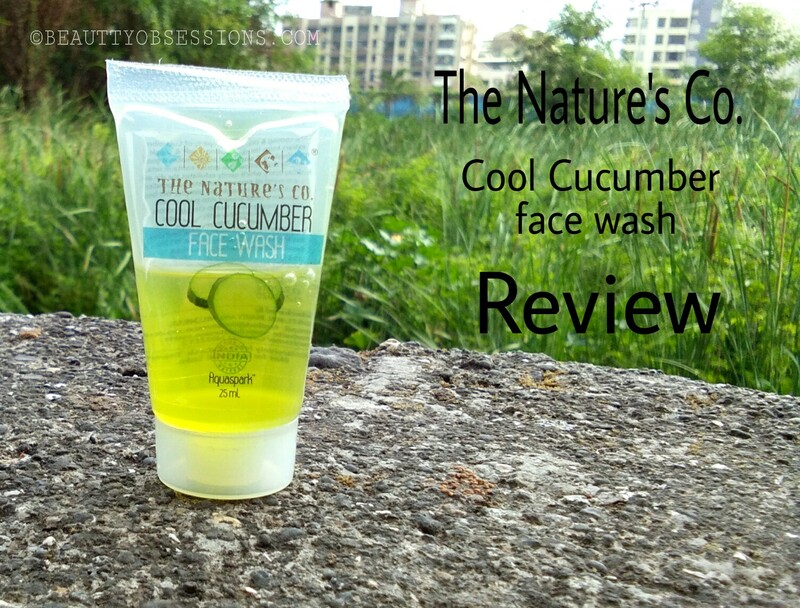 You can buy this cucumber face wash by the nature's co. from Amazon (non-affiliated) . That's all for today. Hope you found this review helpful . See you in the next post..till then keep subscribing my Youtube Channel HERE . Sometimes a refreshing fragrance would be nice to beat the heat. I'm loving the sound of this face wash. I have used the sandalwood face wash from TNC and totally loved it. Cucumber version seems a nice choice for this summer. 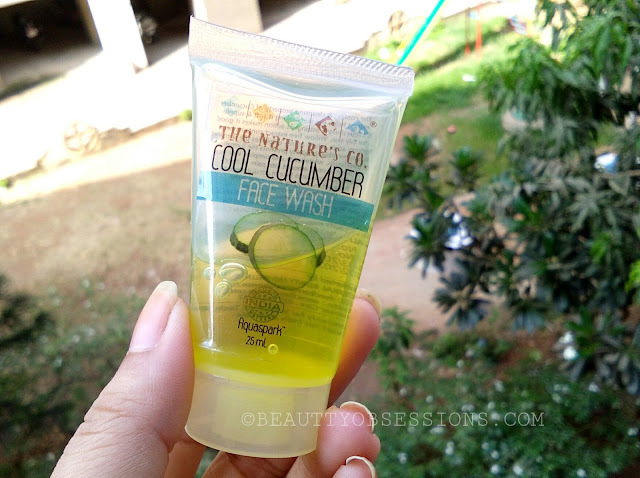 First time I come to know about cucumber facewash and loves to read your article about it... It's really very promising..
Cucumber is my favorite in summers, I love the cooling sensation it gives, will try this out. Amazing and beautiful post. Cumcumber has a cooling effects.This facewash has a great texture.